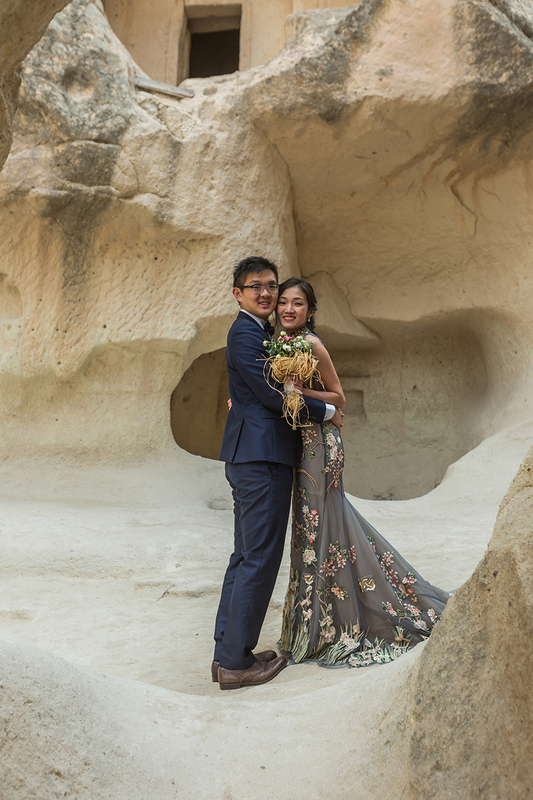 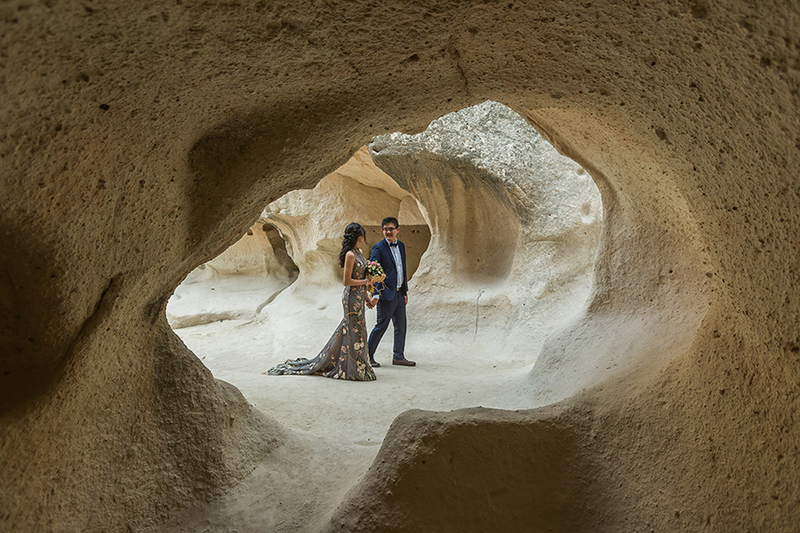 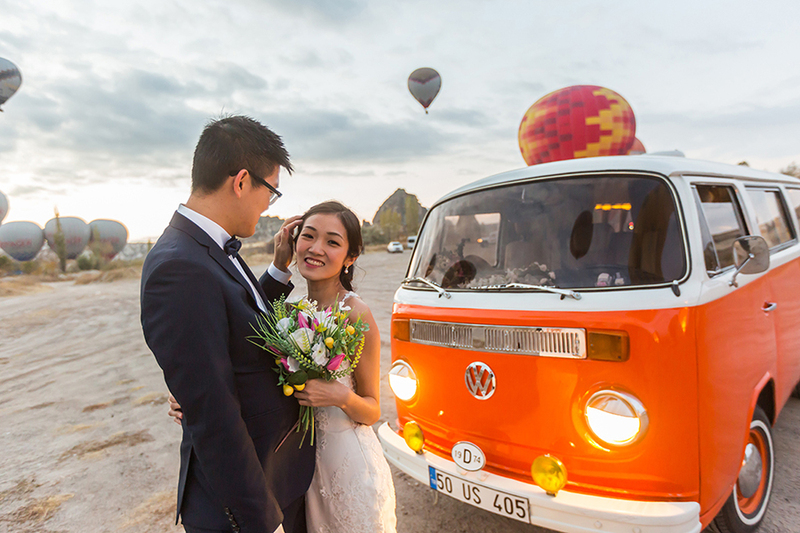 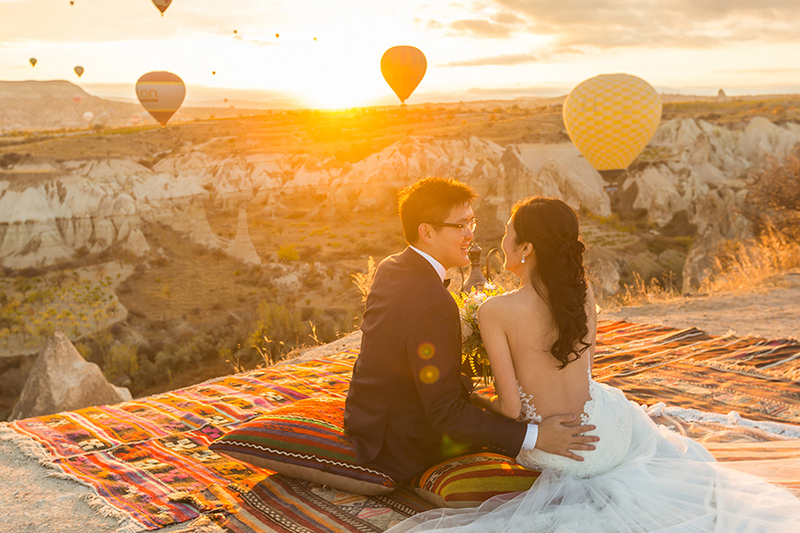 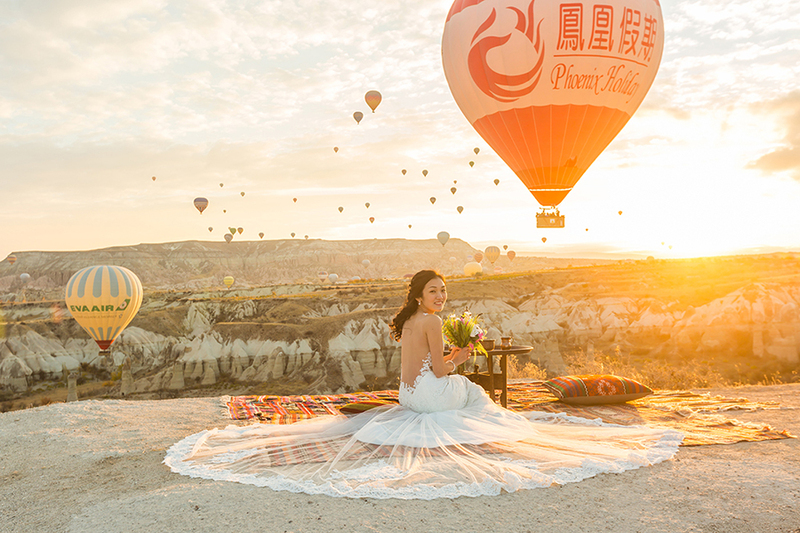 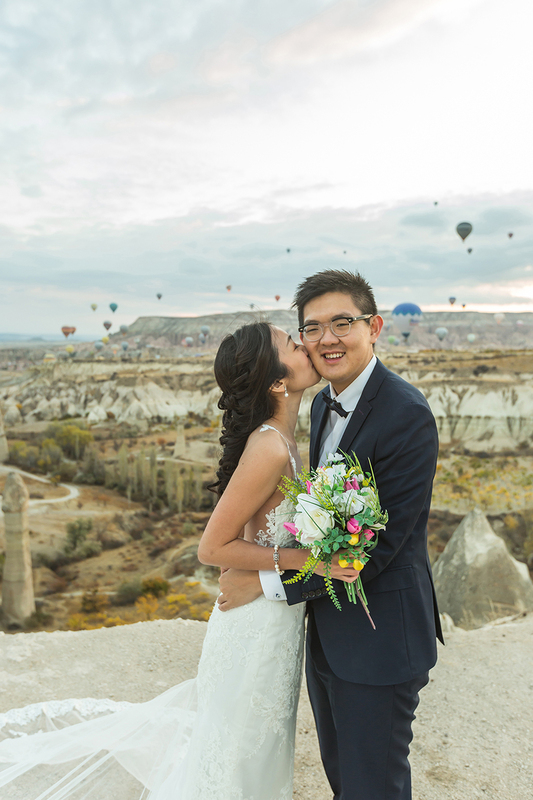 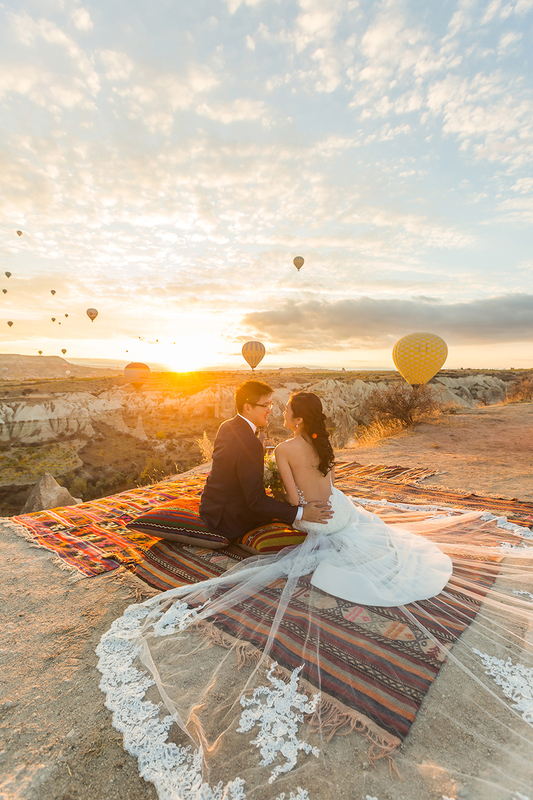 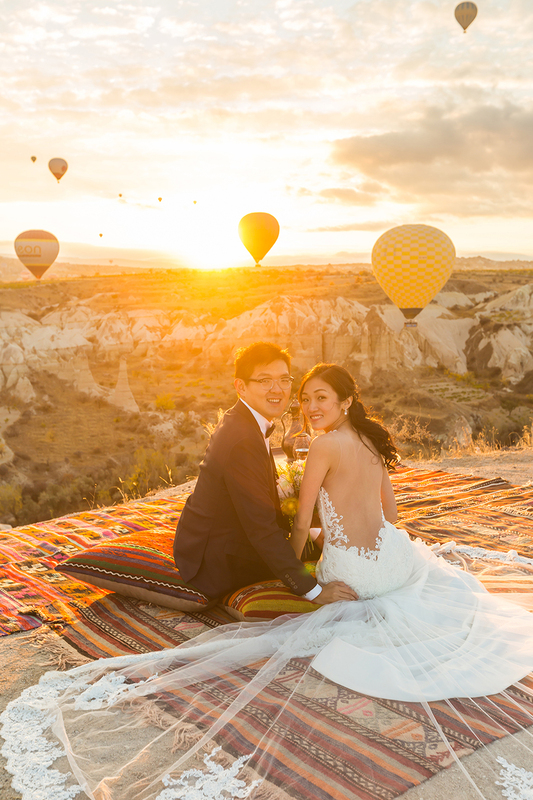 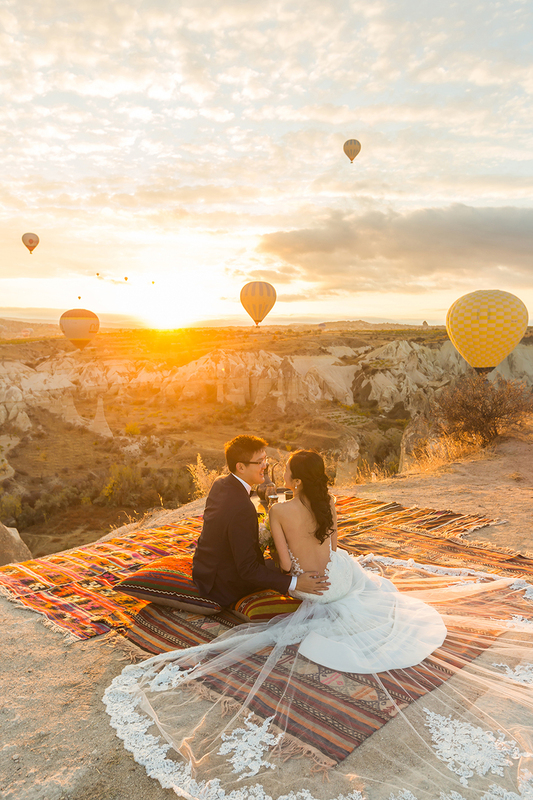 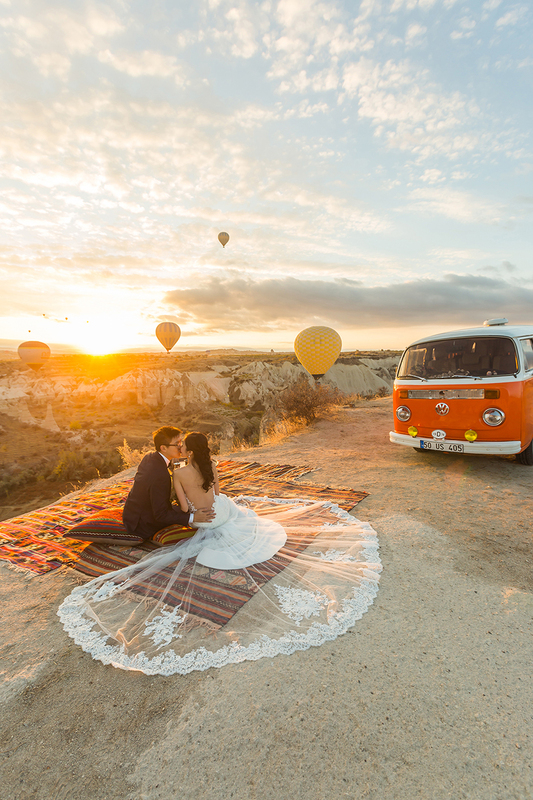 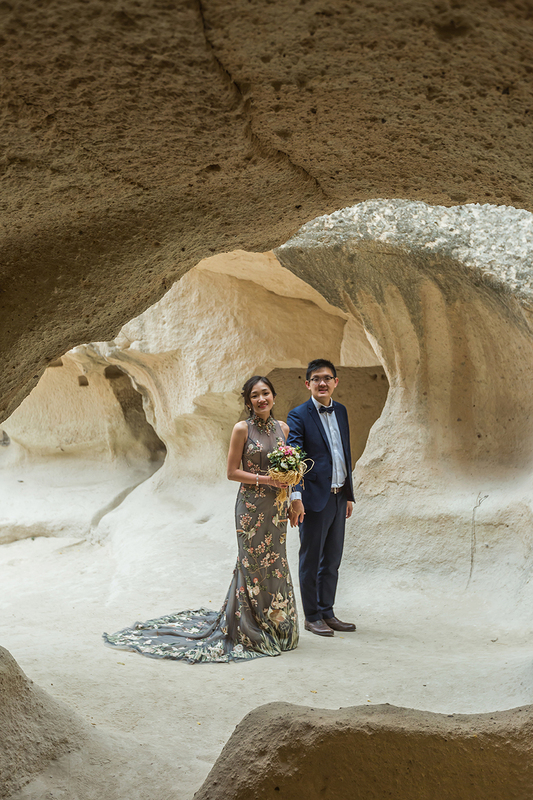 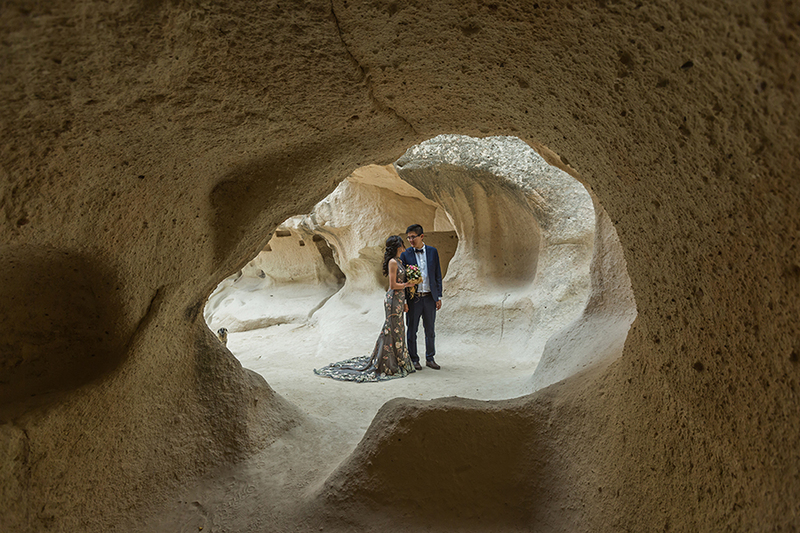 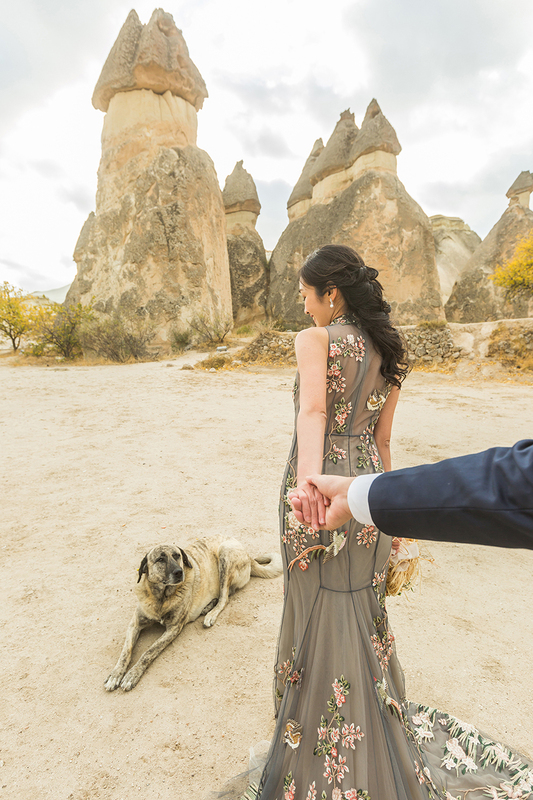 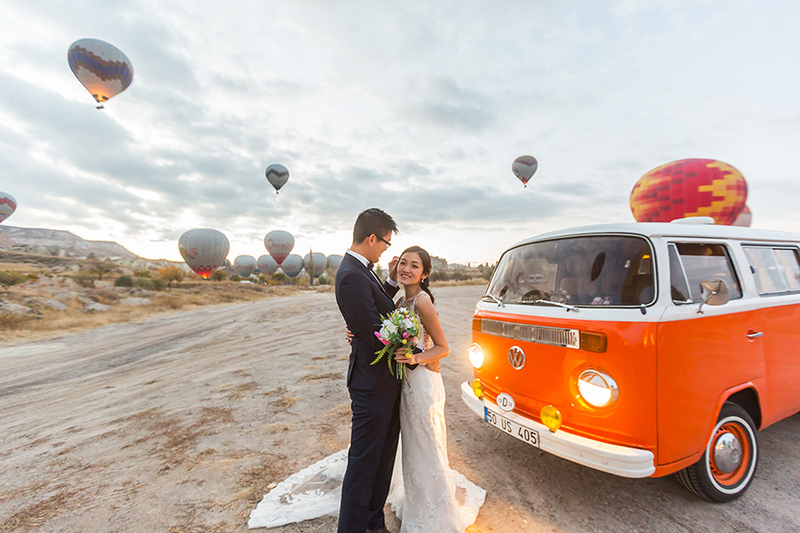 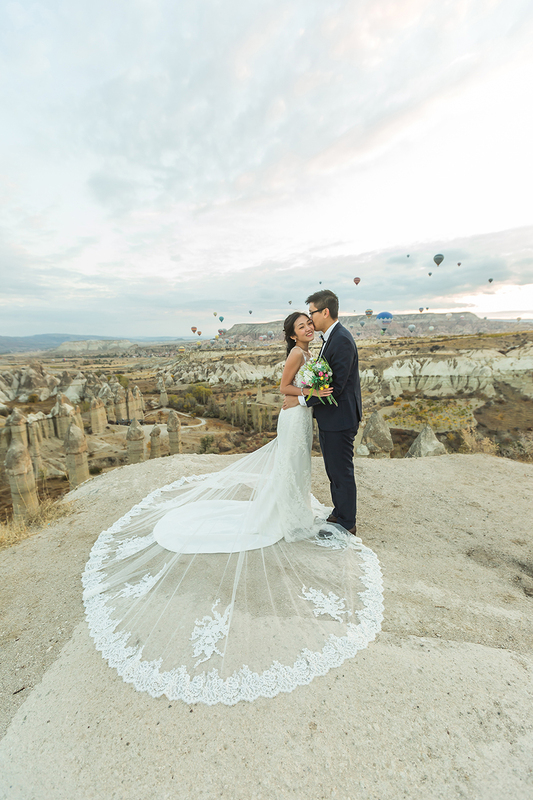 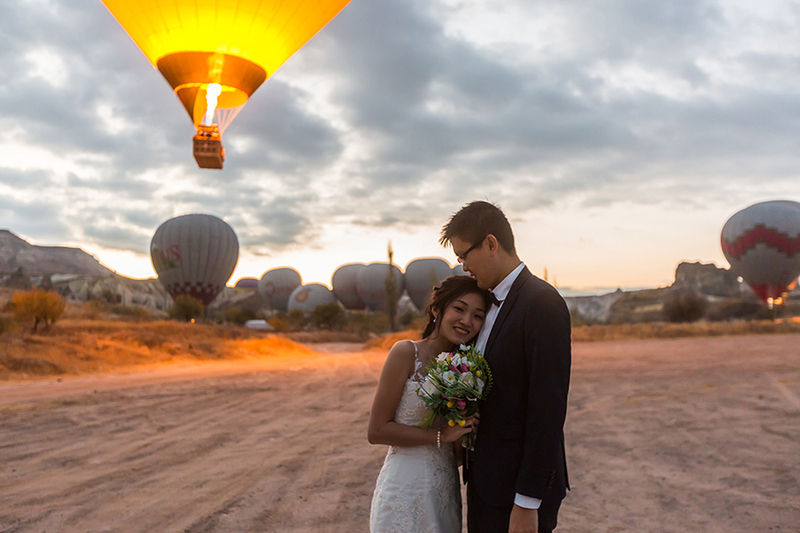 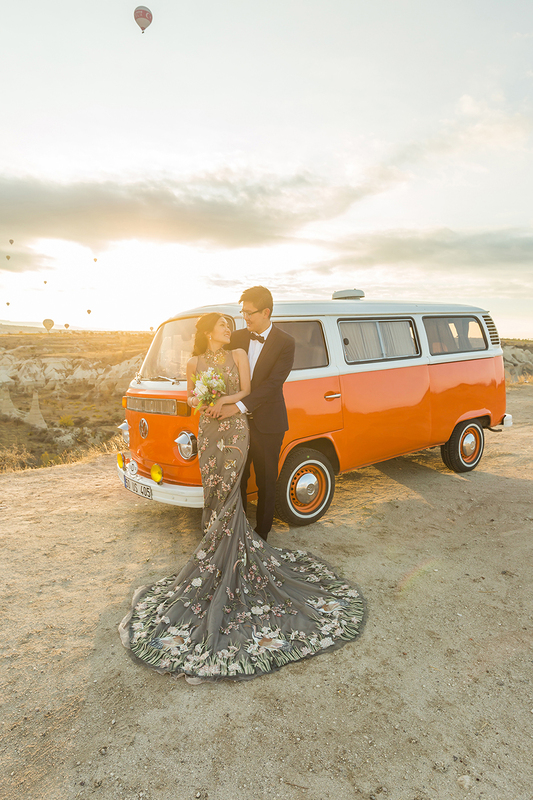 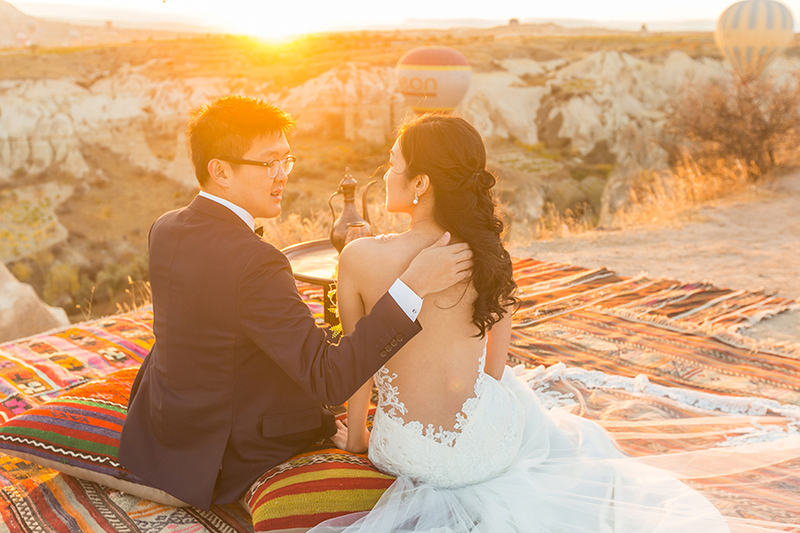 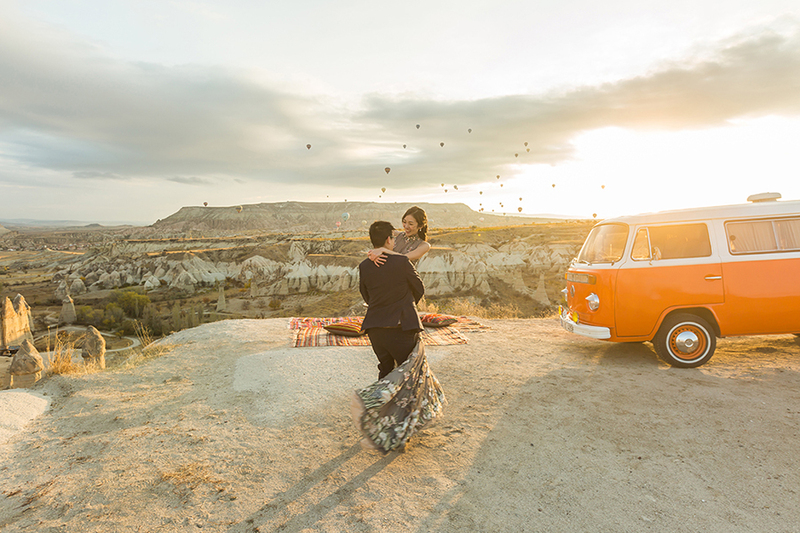 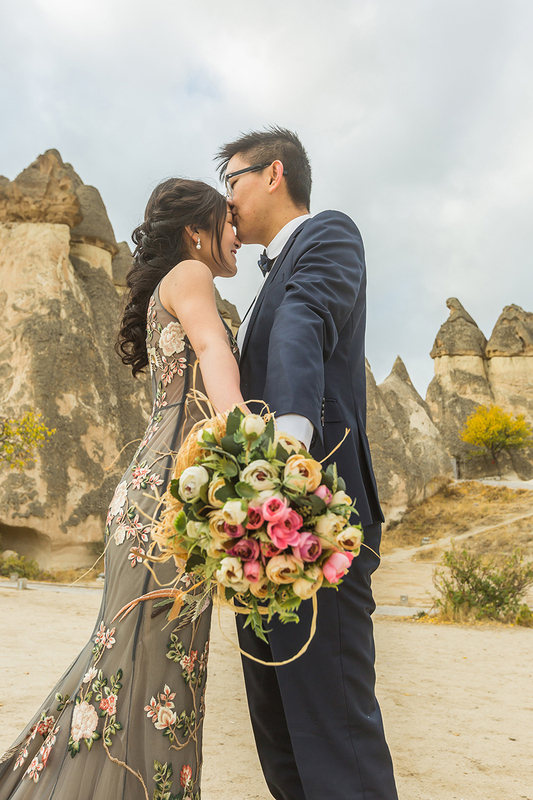 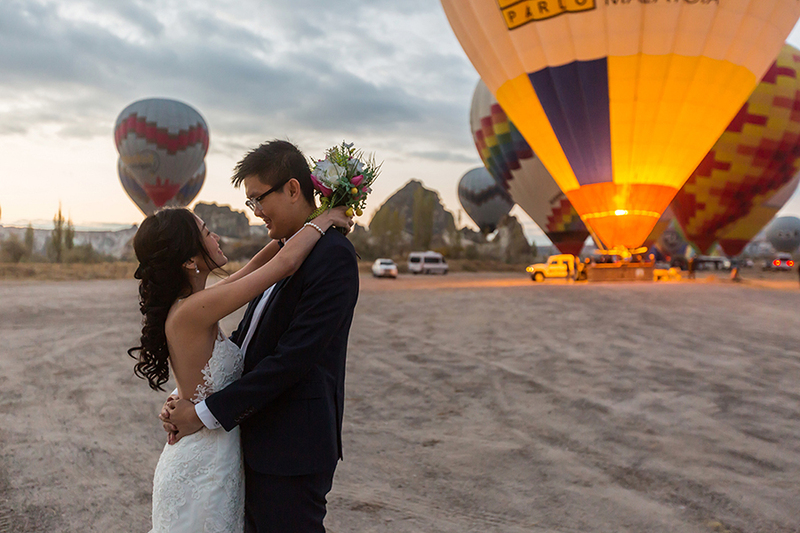 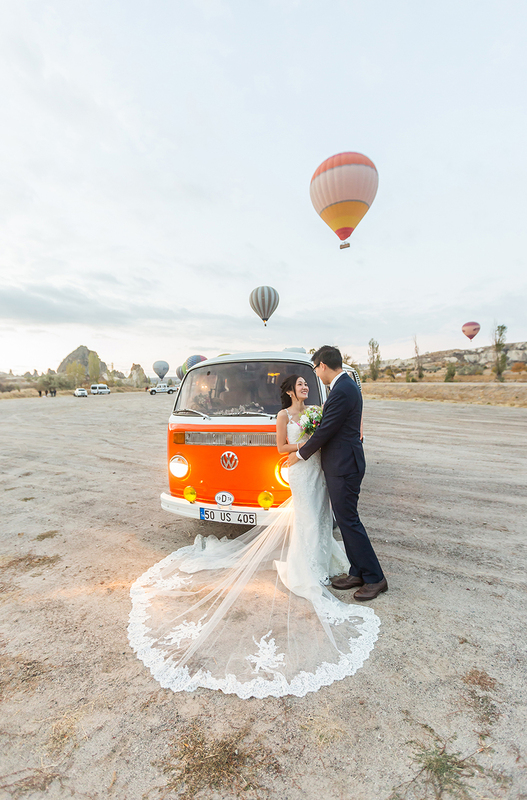 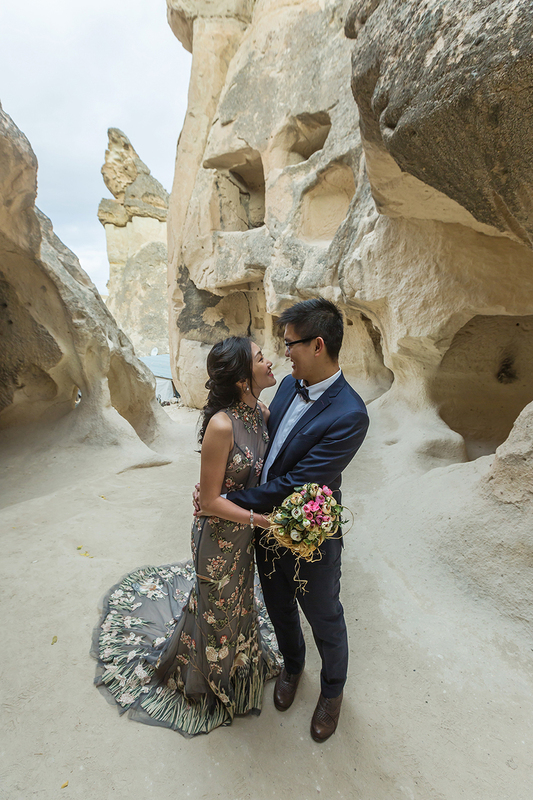 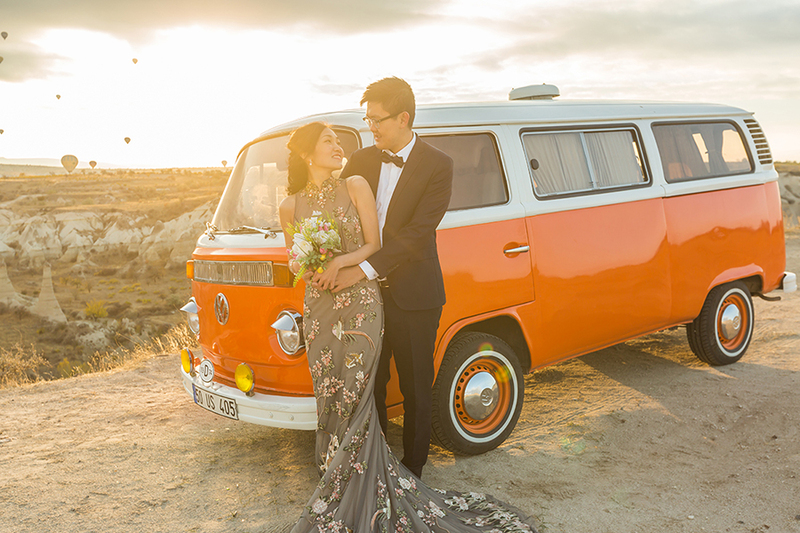 Singaporean bride-to-be Erika fulfilled a long-held dream by flying to Cappadocia and Istanbul, Turkey for gorgeous overseas pre-wedding photos with her fiancé Mervyn. 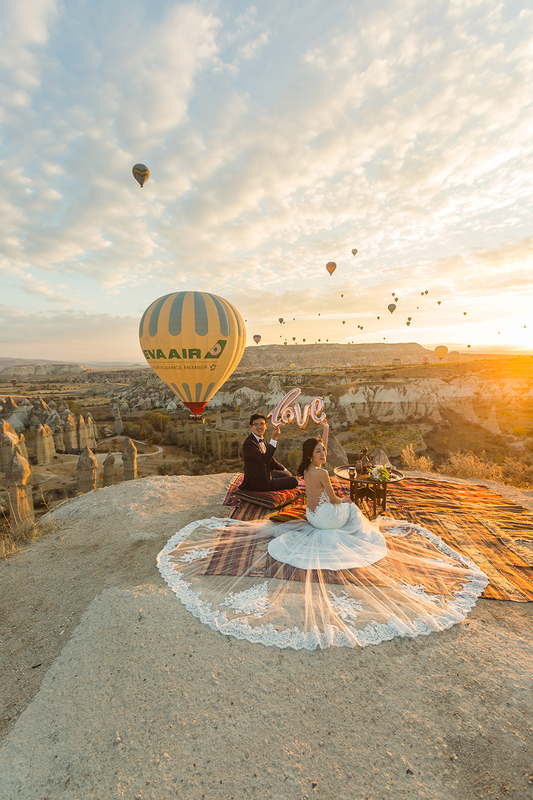 Captured by Turkish photographers Ilker Katik and Mohamed Mekhamer, the lovebirds enjoyed a beautiful sunrise over Cappadocia with dozens of hot air balloons dotting the landscape. 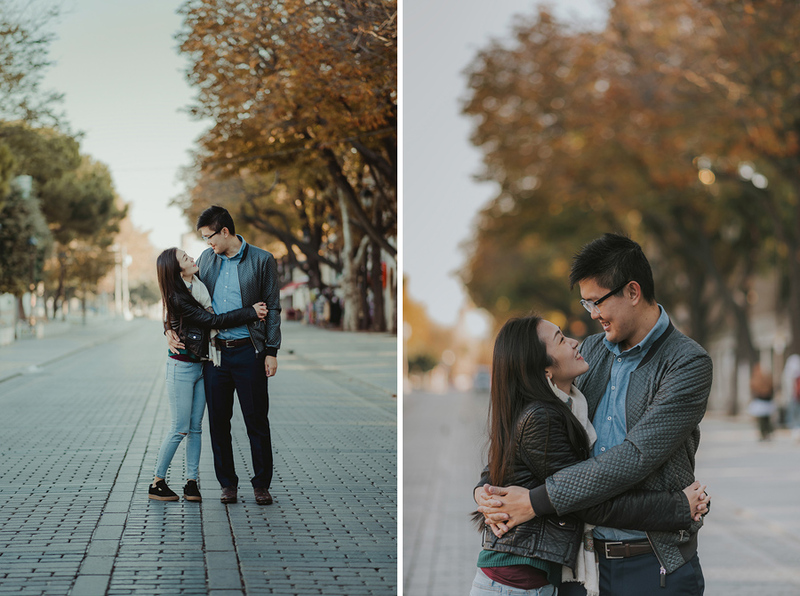 At Istanbul, meanwhile, the pair opted for a more casual engagement photo shoot amidst the city’s colourfully diverse streets and buildings. 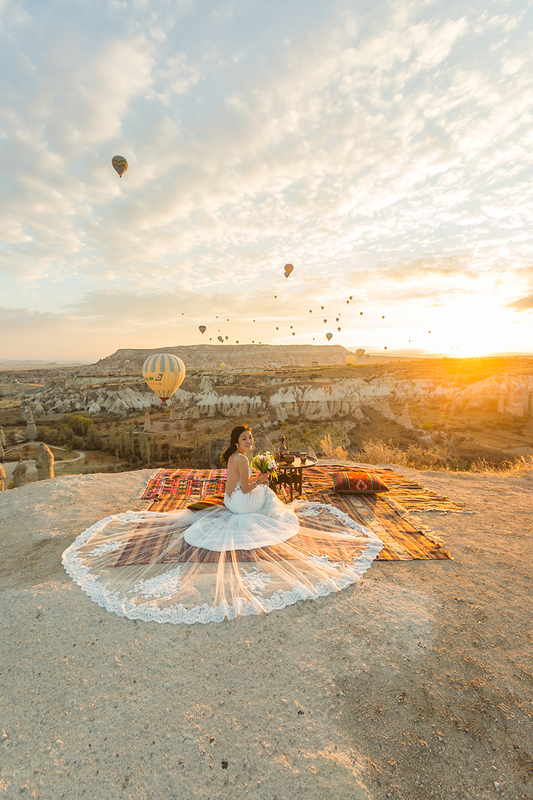 What was the inspiration behind your shoot? 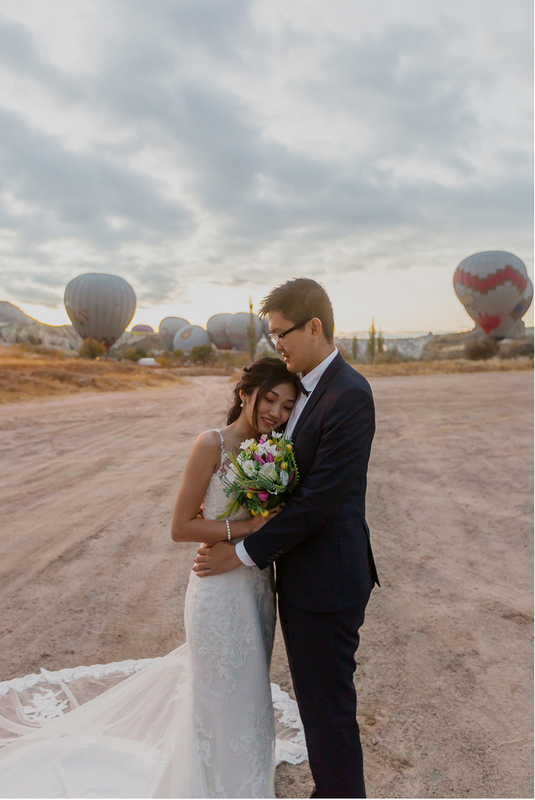 What were some interesting moments or special stories during the shoot? 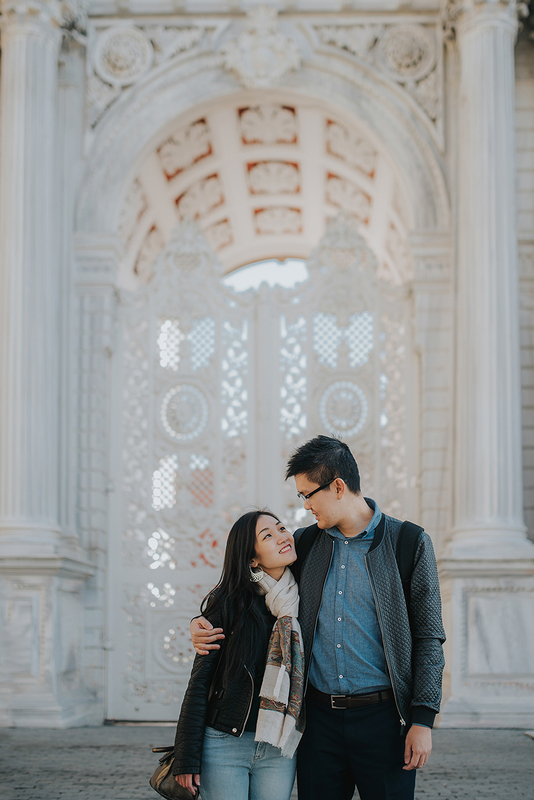 Do you have any tips and advice for couples planning pre-wedding shoots? 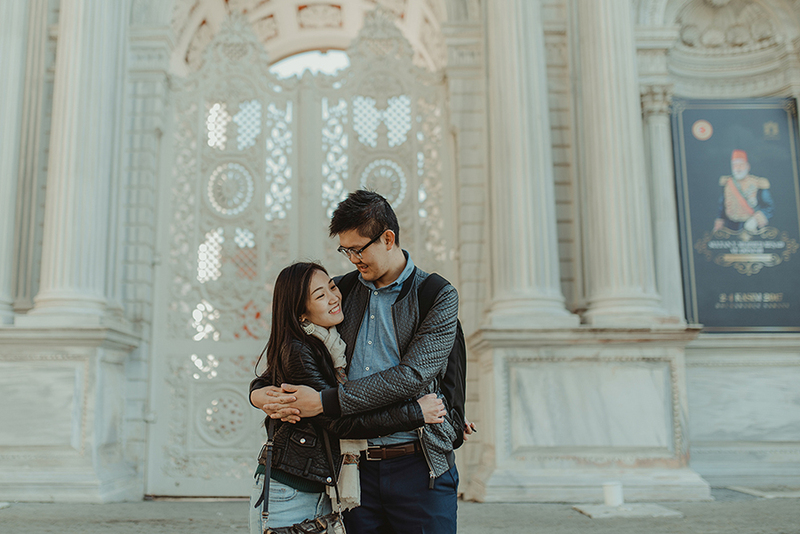 Congratulations on your engagement Mervyn and Erika, and we wish you a lifetime of love!